This page is all about ESL at the beach vocabulary. 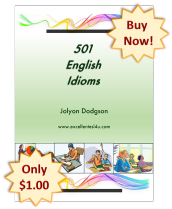 It will teach you all the words that you will need to know when you have a day trip to the beach or go on holiday to the seaside. This is something that is fun, so it is good to do with your friends if you are in an English speaking country. The first section of this page has the ESL at the beach vocabulary list. This list has many words about going to the beach, as well as their definitions and the part of speech that they are. 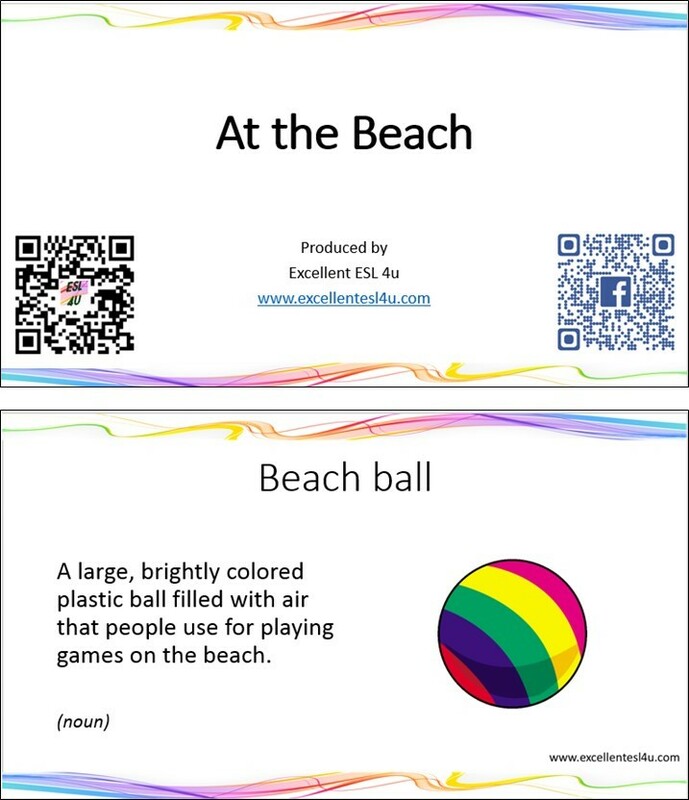 Then after that there is a set of flashcards that you can download with all of the beach vocabulary on them. The next part has recordings of the vocabulary being spoken by a native English speaker so you can hear the correct pronunciation. Selecting the definition that goes with a word. Selecting the word that goes with a definition. Selecting the word that matches a picture. This list has all the ESL at the beach vocabulary items that you will need to be able to talk about going to the beach. Each of the ESL at the beach vocabulary items has a definition to explain the meaning of the word. 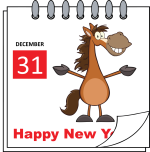 Then after the vocabulary list there are some flashcards for you to download and some recordings of the words being spoken by a native speaker. The following are some ESL at the beach vocabulary flashcards that you can download by either clicking the picture or the following link. You can use them to help you learn the vocabulary if you cannot ever access this site. Now there are two recordings of the ESL at the beach vocabulary being spoken by a native English speaker. The first is a recording that you can listen to, while the second is a video where you can watch the ESL at the beach vocabulary flashcards at the same time as the words are spoken. You should listen to them as often as you need to for you to learn the correct pronunciation. In the first ESL at the beach vocabulary task you need to look at the word given in each question and then decide which definition (options A-D) in each question is correct. When you have answered all five questions you can use the get score button to see how well you did. Choose the correct definition for the at the beach vocabulary in this quiz. 1) What is the definition of Bay? A) A substance like rock formed in the sea by groups of very small sea creatures. B) A small ship that people use to travel on the sea. C) A part of the sea that is partly surrounded by a curved piece of land. D) A small sea creature that has a shell and usually sticks tightly to rocks and the bottom of boats. 2) What is the definition of Hermit crab? A) A kind of crab that uses the empty shells of other sea creatures. B) A folding chair with a low seat made of a long strip of cloth that people usually use on the beach. C) A piece of land that is surrounded by water. D) A covering for the head, usually has a flat edge that sticks out to protect your face from the sun. 3) What is the definition of Life preserver? A) A very large area of water. B) The time when sea water is at its lowest level. C) A small sea animal that can be eaten and lives inside a two-part shell that can be open up. D) A ring filled with air that can float and is used to rescue a person who has fallen into water. 4) What is the definition of Rock pool? A) A small amount of water that is found between the rocks by the sea. (noun) Sail: To travel on the water. B) A small boat with a sheet of material used to catch the wind. C) A large grey or white bird that lives near the sea. D) A low structure that is built at the edge of water where boats stop next to it and people walk along it. 5) What is the definition of Surfboard? A) An area that is not covered by land, such as the sea, lake, river, etc. B) A skin condition that is red and painful that is caused by too much time in the sun. C) A piece of clothing that people wear for swimming. D) The rise and fall of the sea level. For the second ESL at the beach vocabulary activity you need to read the description given in each question and then decide which word (options A-D) in each question matches the definition. Then you can use the get score button to see the correct answers. 1) What is the meaning of the following definition: A boat with a sail that is used for sport or travelling for pleasure? 2) What is the meaning of the following definition: The activity of swimming underwater using special breathing equipment? 3) What is the meaning of the following definition: A tropical tree that has a tall trunk and a mass of long pointed leaves at the top? 4) What is the meaning of the following definition: A hill of sand near a beach? 5) What is the meaning of the following definition: A small car with big wheels and open sides that you can drive across sand? 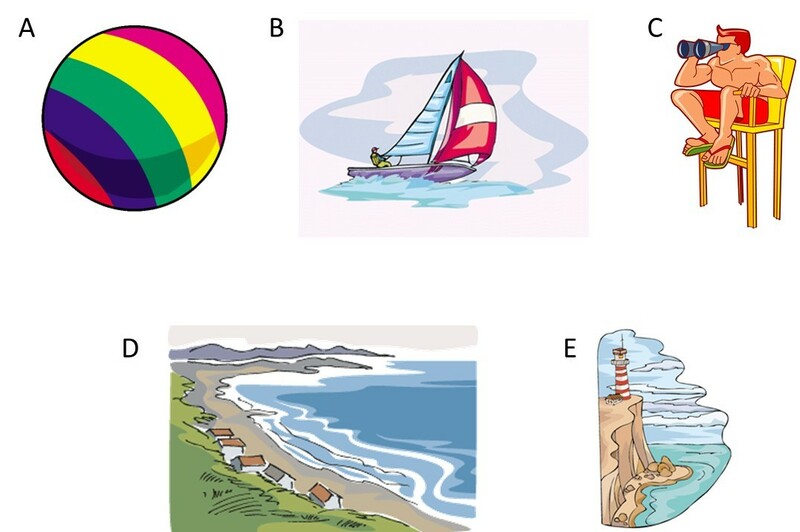 Now in the third ESL at the beach vocabulary exercise you need to decide which word (options A-D) in each question matches the pictures given below. Then when you have finished you can again use the get score button.